Sam Hunter, author, Professor Emeritus in art history at Princeton University and a leading critic and historian of modern and contemporary art introduces Leonard Nelson in his book Leonard Nelson: A Life In Art as "one of the least appreciated, though deserving, artists of indisputable quality in the legendary New York School". Nelson was part of that first generation of American abstract expressionists, such as Jackson Pollock, Arshile Gorky, Willem DeKooning and Mark Rothko. Leonard Nelson has been called a "bridge" between Modernism and Abstract Expressionism. Nelson remained dedicated to this form of painting his entire life and never changed for other more popular forms of painting. In the early 1950s Nelson became disenchanted with the New York art scene and left it for Philadelphia, beginning a teaching career that spanned more than forty years. Born in Camden, New Jersey, Nelson applied for a scholarship at the Pennsylvania Academy of the Fine Arts, regardless of having no portfolio. He was persuasive enough to be given one semester and subsequently was awarded an Academy fellowship to study painting. Nelson went on to earn the Academy's prestigious Cresson Traveling Scholarship award in 1939. He studied at PAFA from 1936 - 1940 with, among others, Henry McCarter and Daniel Garber, and then earned a teaching degree from the Philadelphia College of Art. Later Nelson earned a certificate from the Philadelphia Museum School. The Barnes Foundation also enriched his educational experience where he furthered his studies for five years. In 1951 Nelson accepted a teaching position at Moore College of where he taught until 1981 and remained professor emeritus until his death. Leonard Nelson's art was always ahead of its time. Several of his paintings and drawings from the late 1940s show an experimental style of colorfield painting. 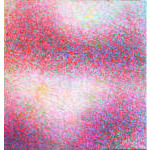 Colorfield painting was a term for organic, sensuous and joyous abstract painting in the 1960s. This is the direction that Nelson's later work of the 1970s, '80s and '90s would take. 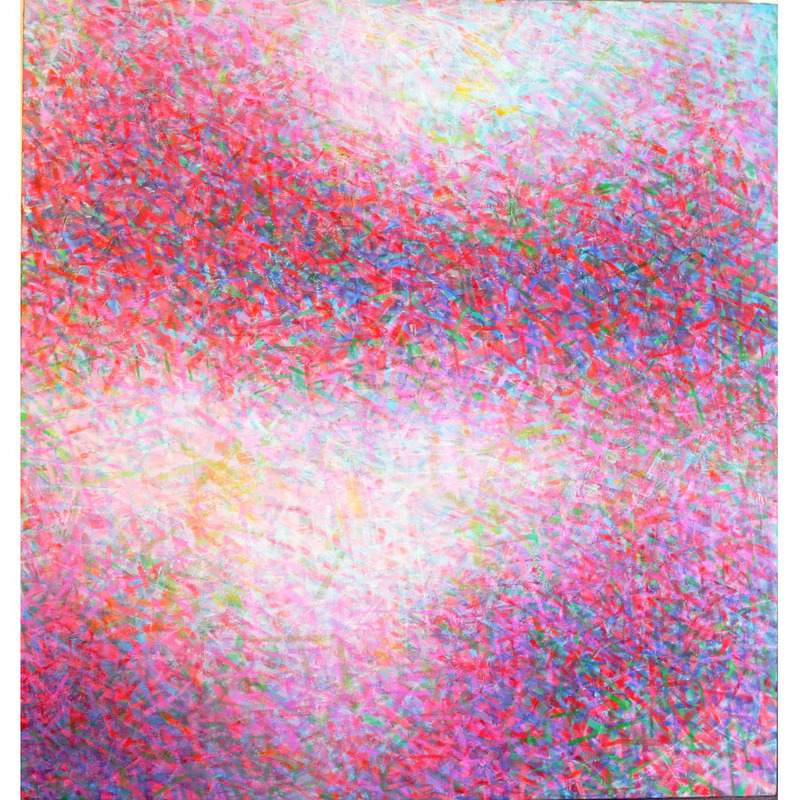 His early "colorfield" paintings in the 1960s were more representational of nature, using abstracted flowers and gardens. These works then evolved into a tight, highly textured reflection of nature and light in the 1970s. In these, luminescence and heavy impasto, carefully applied layer upon layer over months, or even years, resulted in some of Nelson's most celebrated works. Leonard Nelson was a dedicated teacher, painter, sculptor and print maker. He taught at the Art Center in Haiti, The Museum of Modern Art, The Philadelphia Museum of Art, The Print Club, Moore College of Art and The Hussian School of Art. Nelson is represented in many private and public collections including The Philadelphia Museum of Art, The Walker Art Museum, The Dallas Museum of Contemporary Art, The Museum of Modern Art, The Portland Museum of Art and The Art Museum of San Francisco. Throughout his career Nelson had 65 one-man exhibitions in New York and Philadelphia. The Peridot Gallery, Hugo Gallery, Betty Parson Gallery, Peggy Guggenheim and Mortimer Brandt Gallery showed his works.